The UAE Cabinet, chaired by His Highness Sheikh Mohammed bin Rashid Al Maktoum, the Vice President, Prime Minister and Ruler of Dubai, approved the National Policy for Senior Emiratis to reflect the directions of President His Highness Sheikh Khalifa bin Zayed Al Nahyan, to cater for all segments of the UAE society and ensure senior citizens' wellbeing as part of UAE Vision 2021 and UAE Centennial Strategy 2071. "We have adopted the National Policy for Senior Emiratis to improve the quality of their lives and ensure their active and ongoing participation within the UAE community," said His Highness. The National Policy for Senior Emiratis is based on an integrated care system to ensure that seniors remain active and facilitate their access to services. The policy includes seven main components: healthcare, community involvement and active life, effective civic participation, infrastructure and transportation, financial stability, safety and security, and quality of future life. The Cabinet also congratulated the UAE on winning the bid to host the 26th IAVE World Volunteer Conference in 2020. Abu Dhabi has been unanimously selected by the International Association for Volunteering Effort, IAVE, during the closing ceremony of 2018’s conference in Augsburg, Germany. During its meeting, the Cabinet approved the unified Financial Procedures Manual for the Federal Government. 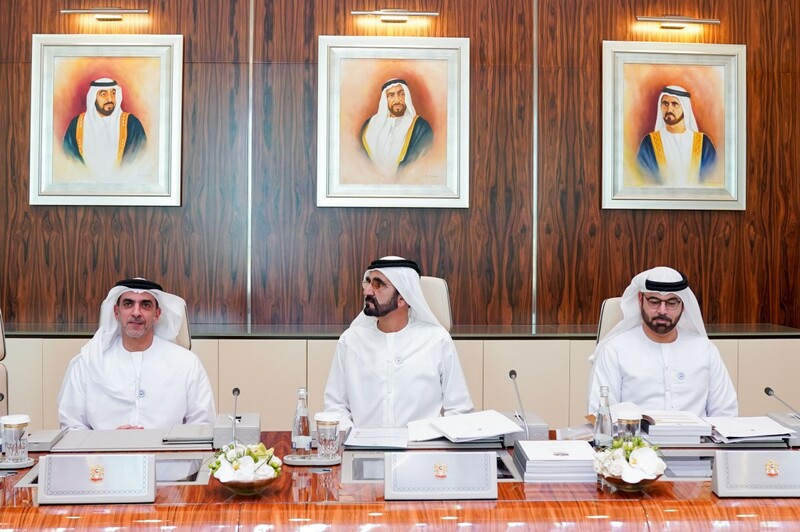 Improving government services across the Federal Government goes in line with UAE Vision 2021 to make the UAE among the best countries in the world. It also adopted the mandatory standards in the oil and gas sector to ensure that products comply with approved standards to reduce any negative environmental effects of petroleum products, while at the same time raising the trade competitiveness of UAE products. The Cabinet approved a number of issues related to international cooperation, as well as other topics on its agenda.